Congratulations to our 2018 AVHRA Board for a job well done! 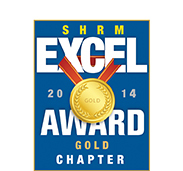 THANK YOU for your many contributions to the HR profession and AVHRA success!! We look forward to seeing you at an upcoming meeting or event. AVHRA has joined forces with Employment Security Department, in partnership with Washington Department of Veterans Affairs, Department of Commerce,Washington State Military Transition Council, and local chambers of commerce across the state to create a statewide campaign to hire veterans, supporting House Bill 2040. This Bill, introduced by Representative Gina McCabe, recognizes employers who show their commitment to veteran employment by hiring veterans into their workforce. Click here to learn more. 2017-2018 SHRM CWU Student Chapter-Superior Merit Award !